Metro Movers Has Achieved An A+ Rating from The BBB Every Year Since 1985! Metro Movers has been moving Phoenix businesses since 1982. Throughout that time, we have developed our personnel and continuously upgraded our equipment, technology and systems. Today, we are proud to offer you a wide range of some of the best resources in the business. 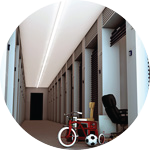 Here at Metro Movers we provide the customized storage flexibility to meet every need. This is just a small example of what you can expect. "Your team did an awesome job and I am very pleased with the move. 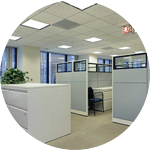 Your office staff took very good care of us and the foreman was experienced, professional and just a super person. Although this move was a tough one, your team made the move progress smoothly! All of your employees are a credit to Metro Movers!" "Our recent move from Phoenix to Cottonwood, AZ went very smoothly. Our special thanks to the crew. They were on time, very courteous, efficient and careful. Thanks also to the office staff for walking us through the process and the confirmation phone calls. We could not have asked for a better move to our new home. The entire process was a good experience during a stressful time." "The movers arrived early, which was perfect! This was our third move with Metro Movers and it was just as smooth and efficient as the moves prior. Thank you for taking care of us. We appreciate the (GREAT) service! Thanks again!" "We couldn’t have been happier with our moving experience. The crew was very professional, courteous and quick. We will refer all of our friends and family to Metro Movers!" "We were very pleased with our move and your services. This was our second move with Metro Movers in 8 months and we will use you again for future moves. We were having a very difficult time and had to cancel twice before we could finally get the right closing date. Your staff was extremely understanding and compassionate and on a late Friday morning they were able to reschedule us for Saturday. Thank you so much for the pleasant and professional experience."